Floyd Mayweather Jr. is a great entertainer. And we’re not just talking about what he does in the ring. You ever hear of a thing called Twitter? He’s also really good at that. Below is the latest example of the fighter dominating social media as he tweeted out his "Christmas card to the world" Monday morning. 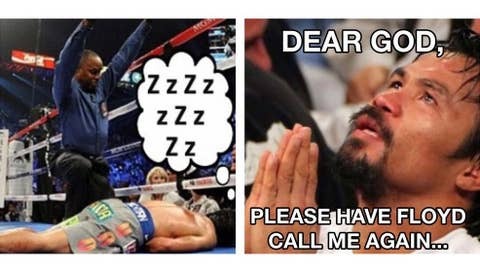 You’ll notice the not-subtle-at-all dig at Manny Pacquiao. We may never see the superfight we’ve all wanted to see, but at least we still get to see this type of stuff on Twitter.